As a blogger, you should be treating your blog as a business. Even if you aren’t generating income just yet, we still recommend filing for an LLC. 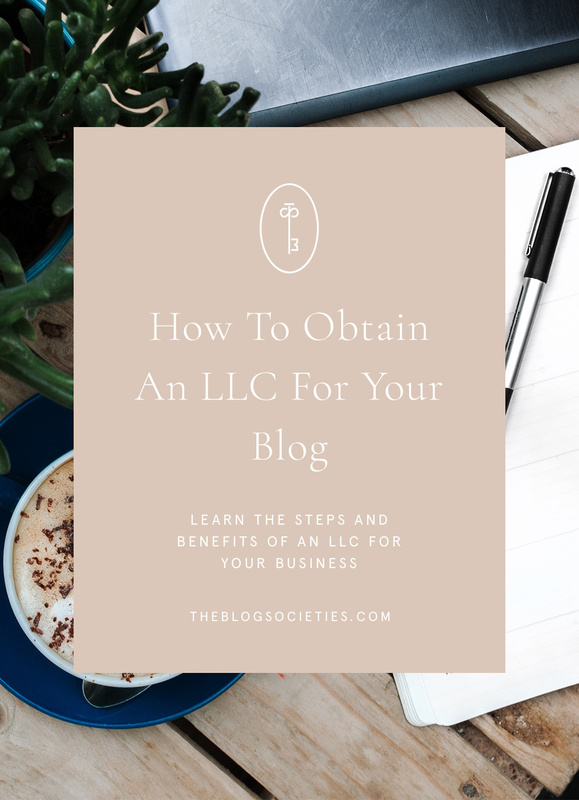 Getting your LLC isn’t expensive and it’s super easy. Every state is different, but there’s generally one solid way to figure out where to file. Finding where to file is easy. Just find your state’s secretary of state website by simply googling “YOUR STATE Secretary of State”. There’s generally a section within these websites dedicated to filing for your LLC. The only information you’ll need to fill this out is an EIN (Employee Identification Number) or Social Security Number, your business information and mailing address. Protection of your personal assets – if god forbid you were ever sued for your business, they can NOT go after your personal assets if you have an LLC. Each state is different and may charge an initial higher fee for the year to register, but renewing is usually less expensive. You’ll receive a reminder every year to renew (your state may have other options to pay a few years at a time). This is also a business expense that you should be recording to reduce your taxable income. We recommend talking with your accountant as we aren’t professionals and are only speaking off of our own experiences. If you’re looking for a great accountant who is well versed in the creative world, we highly recommend Amy Northard.